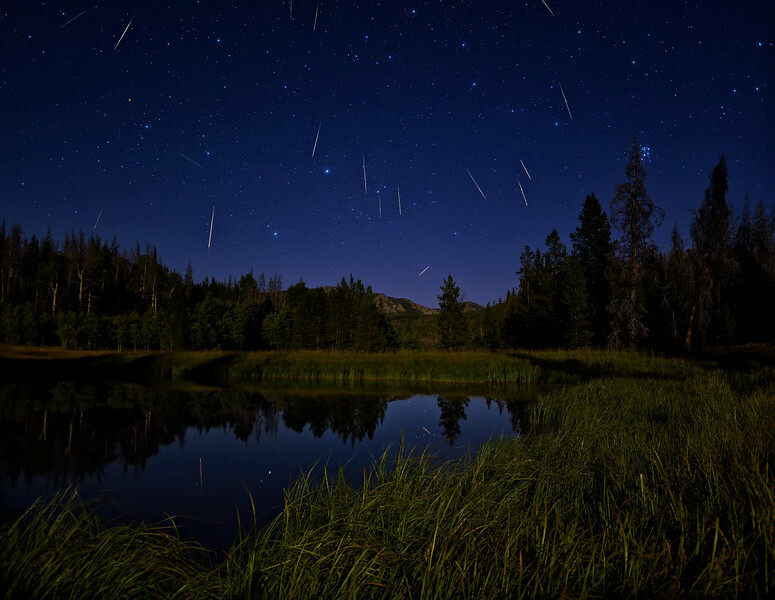 For the Perseid Meteor Shower this year we traveled to a low light pollution location near Encampment, WY. We found our campsite here for Saturday night and I thought I would see if I could catch some meteors reflecting in the pond. Achievement unlocked~! Shot Notes: this is a composite of all the meteors seen from this location over the entire evening. For foreground detail I used frames from when the moon was still out, and the actual background image is a two-frame panorama (vertorama) so I could get the shot I envisioned in the field. In testing out the Sigma 18-35 f/1.8 on the Nikon D500 I was surprised to find coma distortion on the edges of the frame, contrary to what the Lens Tip review suggested. If any other owners of this lens have experience the same, please let me know!